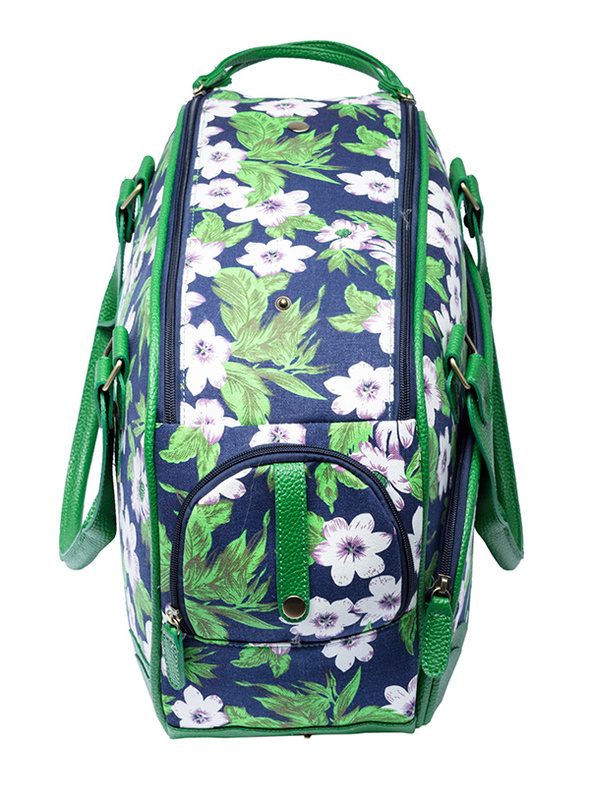 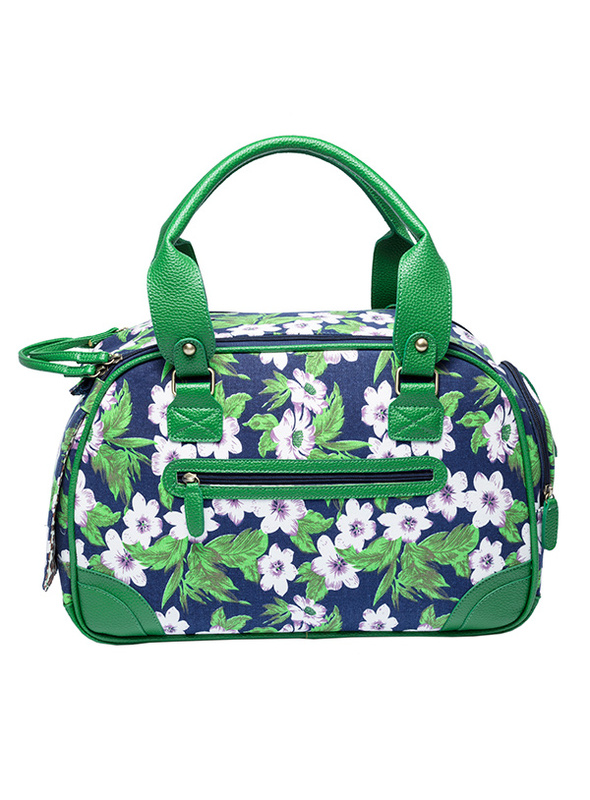 Our Forest Orchid Pet Carrier has designer fabrics and trims which combine to create a chic carrier fit to show off your pet while complementing your wardrobe. 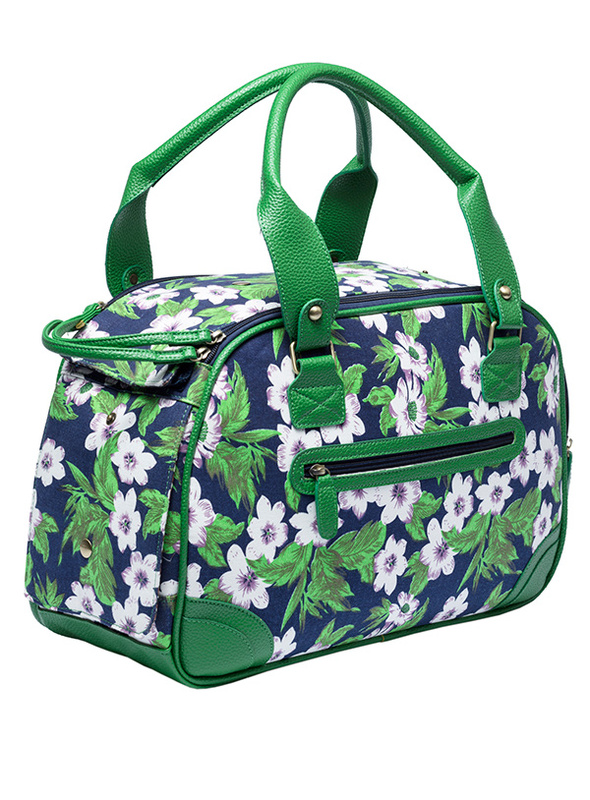 This carrier is specifically designed to make your pet's journey as comfortable and as safe as possible. 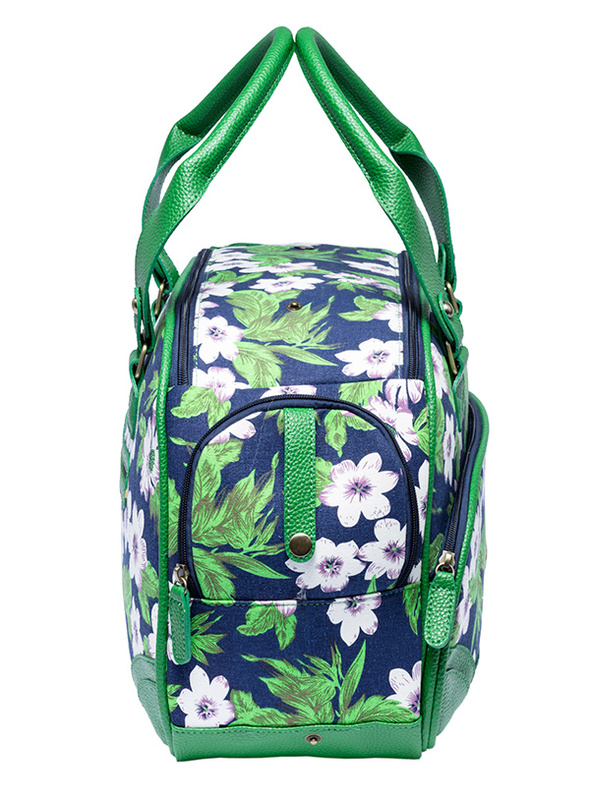 There is a mesh windows at one end of the bag to provide ventilation and to make it possible for your pet to take in the view during your outing, on the other side of the bag there is a handy pocket. The bag also has a double-layer top panel; the top matches the rest of the bag, while the bottom has a fleece lined mat which can be taken out for cleaning. 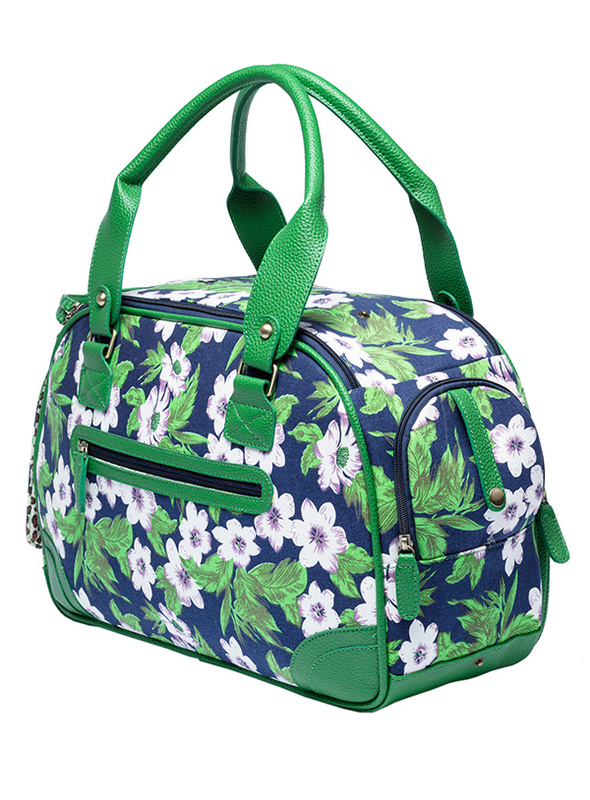 This bag also has two button fastening and one zip pocket for all your pet treats. 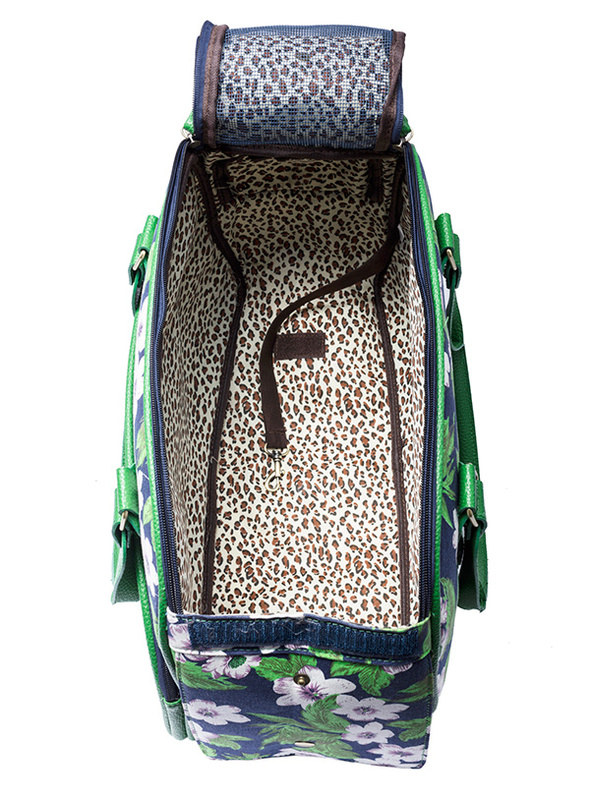 The interior is lined with animal print material and has a removable carpet for easy clean and a Lead hook for extra safety.